Normally, car shows attract a niche crowd; die-hard fans that can name off everything under the hood of their favourite ride. Well, the Ottawa Gatineau Auto Show is an event for those who dream of being up close to supercars as well as those who simply want to get information from experts before purchasing their vehicle. It’s packed with sleek exotic sports cars that will make your jaw drop as well the latest vehicles for everyday use, like the anticipated 2019 Honda Pilot. As most car shows go, the Ottawa Gatineau Auto Show will have a huge selection of exotics and supercars that many aspire to own one day. From McLarens and Lamborghinis to the Ford GT, there’s a variety of sleek, futuristic-looking sports cars for you to browse. But the Auto Show doesn’t stop there. Some of the most famous Hollywood rides will be on display to make you feel like you’re in the actual movie. There are tributes to the most recognized and loved Hollywood vehicles like the Smokey & the Bandit Trans-Am and police car, the Mad Max Police Interceptor, as well as two famous tuner cars from The Fast and Furious franchise. Car and movie lovers alike will enjoy this part of the Auto Show. Alternative ways to power vehicles has been on the rise in order to be more environmentally friendly. This year there’s a record number of electric cars and hybrids on display to show the amazing engineering of eco-friendly vehicles. See how they work, learn more about your alternative options and talk to the experts about how these vehicles may be the way of the future. The Auto Show is a solid place to start your car buying process. You can talk to experts about each model and look at numerous options in one location. It’s an easy way to see which vehicle is the best fit for you. One of the highlighted vehicles being presented for the everyday car buyer is the refreshed 2019 Honda Pilot. It can handle the tough Canadian winters while giving you a smooth ride and plenty of seating so all your passengers are comfortable. You’ll be able to check out the 2019 Honda Pilot and other everyday vehicles along with supercars and custom motorcycles. There are more than a few perks for attending the Ottawa Gatineau Auto Show. You get to see the latest cars that are going to hit the market in 2019, ask the experts whatever questions you have and you get free stuff! Along with a vehicle giveaway contest, there’s a $500 car cash coupon to use at any participating dealership to go towards a new vehicle. The cash coupon is available for free with your admission. You don’t have to be a total gearhead to have a good time at the Ottawa Gatineau Auto Show. It’s a happy medium for car enthusiasts and those who are just looking for some information. It will be packed with 300 vehicles from 34 manufacturers, including the supercars you may have dreamed of along with everyday vehicles like the 2019 Honda Pilot and more. 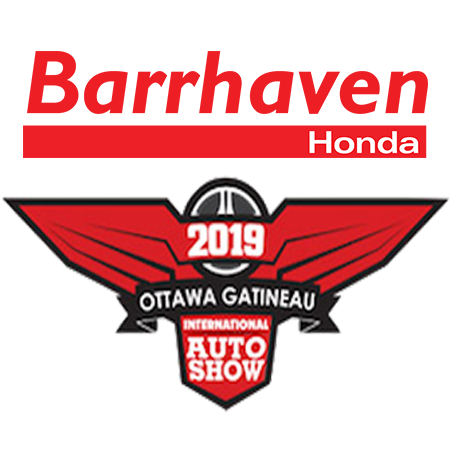 Check out the Ottawa Gatineau Auto Show March 21st to 24th. Click here to buy your tickets.